Mark Hughes is a retired electronics instructor widely recognized as the authority on Civil War cemeteries. The only author to publish books on both Union and Confederate cemeteries his books include: Bivouac of the Dead, The Unpublished Roll of Honor, and Confederate Cemeteries (2 vols.). In addition he has written articles on a variety of subjects. NMark is a graduate of Gaston College (AAS) and Southeastern Oklahoma State University (BS and Masters of Technology). 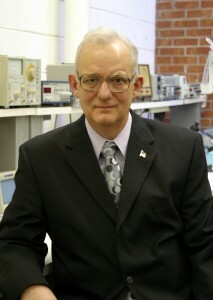 Mark is also an amateur (ham) radio operator. His callsign is WB4UHI. Mark, his wife Patty, and their daughter Anna Grace live on the family farm near Kings Mountain, NC.